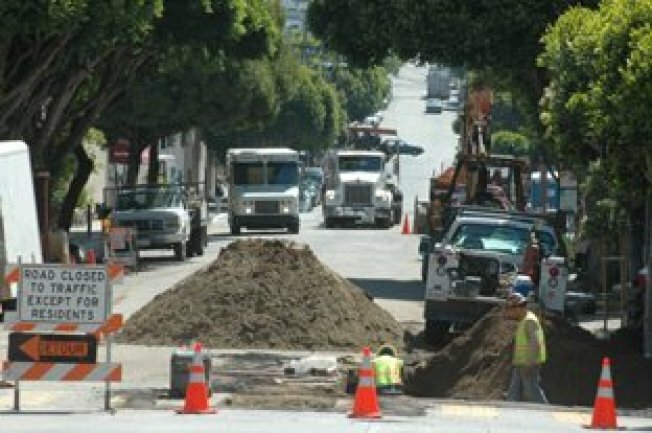 The intersection of Vallejo and Franklin in San Francisco is closed off this week due to construction, according to the San Francisco Public Utilities Commission website. The city will be installing a 54-inch sewer pipe as well as several water pipes. The intersection of Scott and Jackson will also see some construction action, as a 8-inch water main is installed. A similar project will take place at Pacific and Fillmore today and tomorrow.